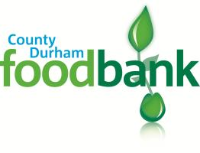 You can receive food from the foodbank if you have been given a foodbank voucher by one of our referrers. We work using a voucher referral system. We work with a number of different agencies, such as Citizens Advice, Children’s Centres and Health Visitors. To find out more about the agencies who hold our vouchers please contact us. We are run in partnership with local churches, facilitated by Durham Christian Partnership.